In one study, Jill Allor and colleagues in the USA conducted a longitudinal randomized control trial of a reading intervention for children with intellectual disability in Grades 1-4 (including some children with Down syndrome) over a four year period. The children in the intervention group received daily structured teaching sessions for 40 to 50 minutes in small groups of 1-4 students and they made significantly more progress on language and reading measures than the comparison children. However some children required this daily instruction for 2 to 4 years to make the progress a typical child is expected to make in a year. The authors stress that their findings demonstrate that children with intellectual disabilities can achieve meaningful literacy goals but that for them to achieve this educators must recognize that high quality instruction must be delivered intensively over prolonged periods of time. 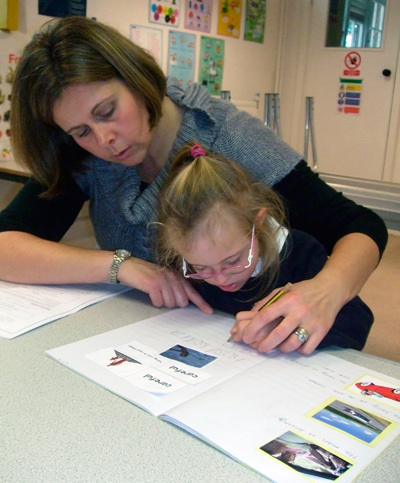 A randomized controlled trial of a daily reading and language intervention involving 57 children with Down syndrome in two areas of the UK reported similar findings to the US study. In this study, children with Down syndrome received the intervention daily for 40-50 minutes over two school years. 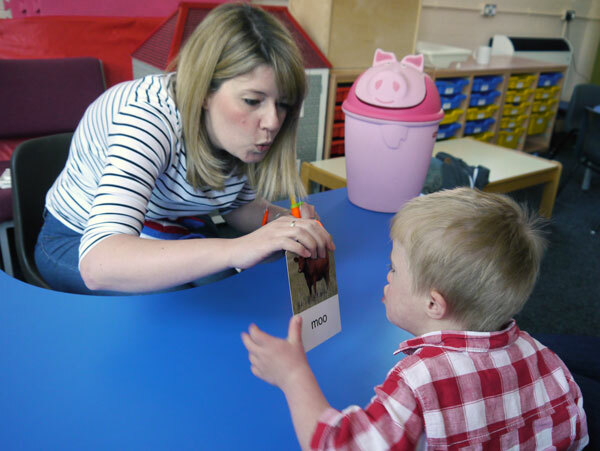 One of the factors predicting progress with word reading was the number of teaching sessions attended - in other words, children receiving more teaching sessions made more progress on average than those attending fewer sessions. Research considering the effects of intensity is in its infancy but of enormous practical importance. We need to know much more about how to teach our children and how they learn - especially in early intervention programs. How often should parents be asked to practice early intervention activities? Is a 10 minute session every day as effective as a 20 minute session 3 times a week? Is the most effective pattern of intervention intensity the same for all children or does it vary with ability and temperament?